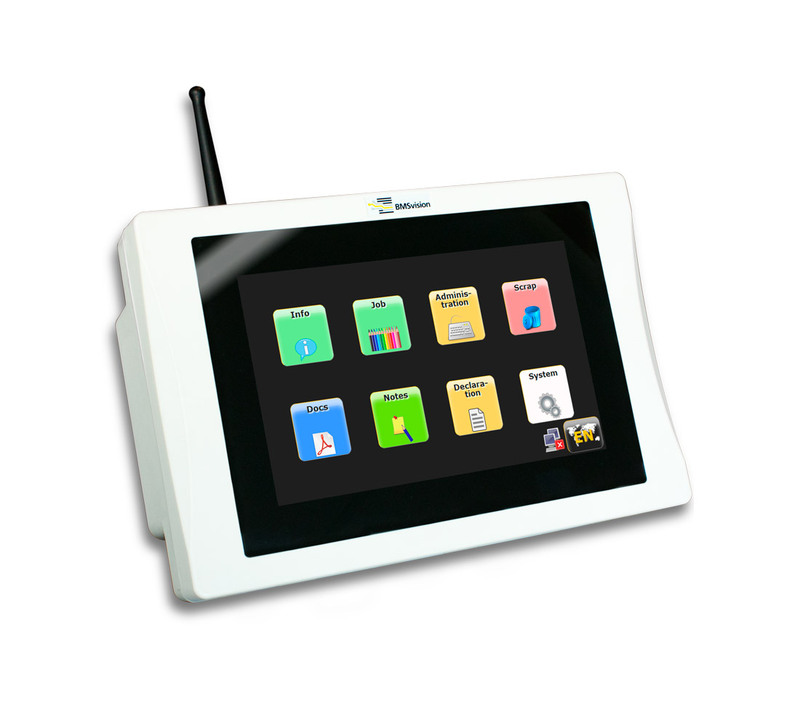 The DU11 is a high-end member of the BMSvision data collection terminals featuring a 7” touch screen and a graphical intuitive web-based user interface for user friendly interaction with the operator. The DU11 interacts as a front end and is the HMI for all BMSvision’s Master systems. It is the perfect HMI for companies striving for paperless manufacturing. Direct access to all pages. Wireless (Bluetooth class 1) via WDL-Server or wired (Ethernet) connection to the central system. Continued operation and machine monitoring in case of network or server failure (optional). On screen language selection and unicode Chinese supported. Manual entry of down time reasons, scrap input,.. Display of production information: OEE, KPI’s, units produced,.. Display of planning information: actual job status, jobs planned,.. Document control: setup, quality maintenance, instructions,..